Version control is maintained by allowing users to download and lock files. Downloading and locking a file ensures that users do not make simultaneous changes to a file and prevents file versions from branching. When a file is locked, it cannot be modified by another user and can only be unlocked by the person who locked it or a Workspace Administrator. Files can still be viewed when they are locked and all newly uploaded versions will be recorded in Version History tab. The maximum duration of a locked file is 7 days. Any file locked for 7 days will automatically unlock itself - making it available for any member to edit. Under the Files & Discussions tab, click on a file name to view the file. Click on the drop-down arrow next to Download > Download and lock document. Add optional comments, which will show on the file view page while the file is locked and click Download & Lock File. After saving changes to the document, click on the Upload New Version button to upload and unlock the document. Select the file on your hard drive and add optional status or comments. The updated file is uploaded as a new version number. 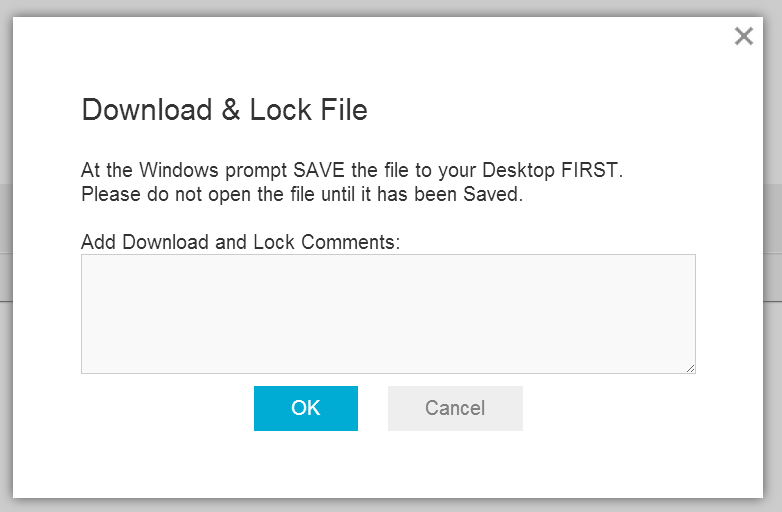 To simply unlock a file (and not upload a new version) navigate to a locked file and select the Unlock link.